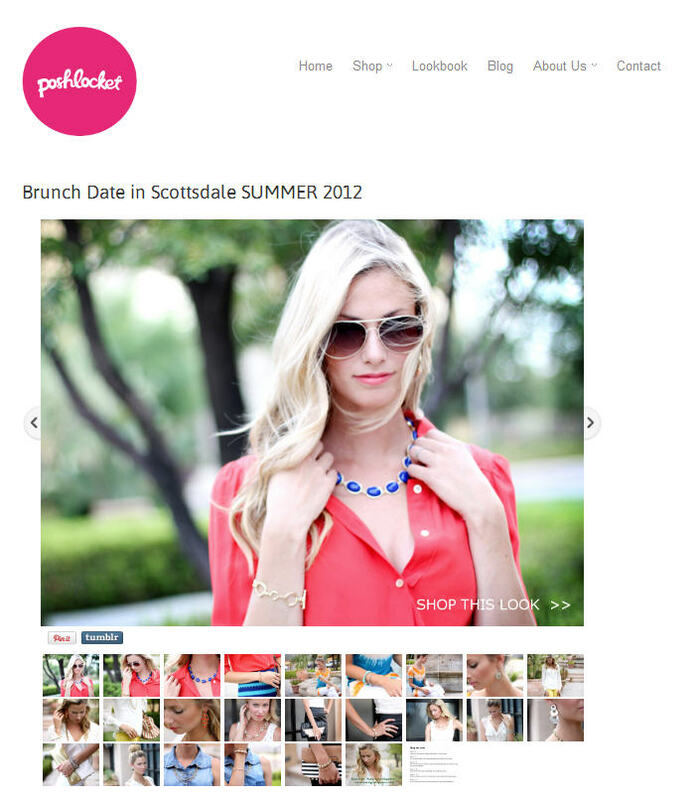 Check out my lookbook I did with Poshlocket here! Gorgeous, love all those shots! so pretts Katie! I love the royal blue necklace on you! so AMAZING! You are so pretty! Love the leather skirt outfit! Where is the skirt from? Beautiful necklace. Love the color. You're look book came out gorgeous!! Love all of those pieces too! lovely photos! and there's some really great pieces in that collection! Congratulations on being featured on that site! I was wondering, what makeup do you use? Your skin and eyes are always so bright and fresh looking! I would love some tips! Such a fun collab and you look ah-mazing! Could you BE any cuter?!?! love every look! What BEAUTIFUL photos! And how fun to model for a lookbook, it's an honour...I'm kinda jealous ;) The jewelry is really great and you wore cute clothes too of course! Are you going to post on the outfits that you pieced together for the lookbook? Stunning photos! You are gorgeous.